There aren’t many TV shows that actually benefited from the writer’s strike but Heroes is certainly one of them. The writer’s strike in 2007 meant that many shows, including Heroes, were forced to cut their season short and in doing so, it focused the series and meant the overall arc was resolved much better. There were less episodes which just tread-water, trying to find stories to occupy the multitude of cast members. This doesn’t necessarily mean everything about season 2 worked but it certainly improved upon the second half of season 1. For starters, there is a more interesting idea at the center of the season. We replace “Save the Cheerleader” with a season about a virus that will stop powers and wipe out humanity. It begins slow but then builds to be a decent macguffin for the “heroes” to build themselves around. This is the strongest story in a season full of slightly dull moments and has a decent enough ending which brings together some of the stronger, principle cast. 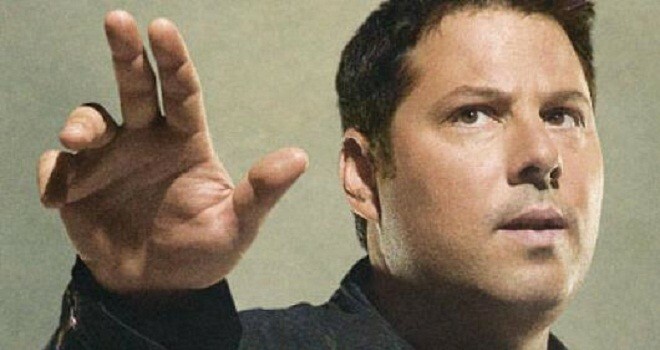 For starters, Matt Parkman is now a detective and on the trail of a shadowy serial killer who is wiping out the older cast from last season. It leads to one of the better aspects of the season, when he takes on his own Father in a nightmare scenario. It demonstrates some new power for Parkman and develops one of the weaker characters from season 1. The other strong story from season 2 is Claire Bennet’s. She is trying to live a normal life while her father continues to be shady and clean-up past mistakes. It feels like a retread of parts of last season but the two characters involved are so strong that it you don’t mind watching their arc develop. 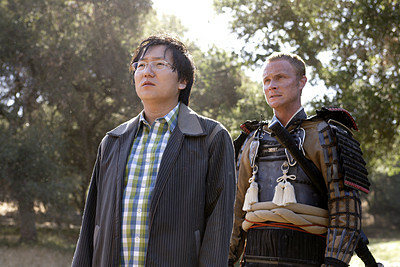 The same can’t be said for Hiro Nakamura’s story. His is set mostly in the past and develops very slowly. It introduces a character who only reaches their potential very late on in the season and because of this, when the episodes focus on Hiro’s tale, you begin to lose interest and the show loses it’s pace. That is made-up for by Peter Petrelli’s story which is probably the one that keeps the series on-track. It begins with a poor amnesia tale but develops into something much better, putting him at the center of the whole series arc. The fact that he is supported by some of the worse Irish accents ever and his brother Nathan who is beginning to become one of the weaker characters in the whole show, don’t seem to hold him back. The same can’t be said of Sylar’s part in Season 2. One of the most interesting characters gets lumbered with two of the dullest new characters. After season 1, season 2 offers a chance to introduce new characters and exciting new powers. We get that with the “muscle memory” power belonging to Dana Davis’ Monica, who demonstrates this with some very cool moments but not so much with a creepy, X-Files black ooze power that is given to damp-squib Maya, played by Dania Ramirez. You wait the whole season for Sylar to do something worth his character and it never really develops. Luckily, the season picks up with the final five episodes and as we get closer to the culmination of the virus arc, some of the shows cooler moments happen, like Peter versus Hiro or a showdown with Noah Bennet and the company man Dr. Suresh. It begins to fall back on some of the staples from the first season, like Isaac’s paintings, but you can forgive it when it leads to some really good showdowns. Overall, Heroes Season 2 has a clear structure, direction and decent arc. It has a decent villain and some cool stories featuring the best characters, Peter, Claire and Noah. Some of the other characters get short shrift, struggling with their stories until they get to play a key part in the finale, especially Hiro. Add to this some hit and miss new characters, a struggling Sylar and some lame new powers and you get a series which is still strong but has some way to get close to the best Heroes has to offer. Best Episode – Episode 11 – Powerless: The episode that brings together all the key elements of the season and has some of the best scenes of the season too. Should there have been another season? – Yes, there is still plenty of potential in the characters and endless possibilities of where you can take the series. I remember being really bored by Hiro’s time in Japan the first time around and having little patience for Nathan’s personal demons and Peter’s crises. I viewed them both more favorably on a rewatch. You could really say that for the whole season, for which I initially didn’t care for almost every other episode.